TNPSC Notification 2019.Tamil Nadu Public Service Commission has released a notification for the recruitment of Assistant System Engineer (Code No Code No.3021) and Assistant System Analyst (Code No.3022) vacancies.Check the eligiblity and notification prior to apply for the positions. BE/ B.Tech/ degree holders in Computer engineering, IT, ECE, EEE disciplines are eligible. Applicants through out their study must possess First Class or equivalent CGPA (Cumulative Grade Point Average) marks. Aspirants who possessed BE/ B.Tech/ Degree/ PG from a recognized university can apply. Aspirants must have sufficient knowledge in Tamil. Master degree holders in computer applications and having passed bachelor degree in science or mathematics or computer applications are only eligible to apply for above posts. Minimum age for SCs/SC (A)/ ST applicants is 31 years, maximum upper age limit is 35 years. Minimum age for MBCs/DCs/ BCs/ BC(M) applicants is 21 years and maximum upper age limit is 32 years. Maximum upper age limit for other category applicants is 30 years. 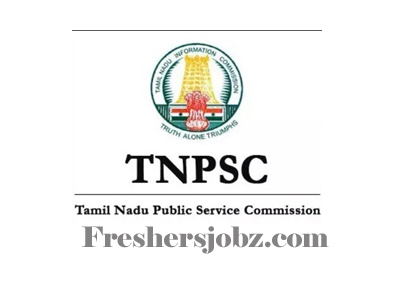 Candidates those who are going to work for TNPSC ASE & ASA Jobs will get a pay in between Rs.37700-119500/- in the level 20 as per Tamil Nadu Revised pay rules 2017. Contenders who selected for TSPSC latest notification 2019 have to submit certificates of physical fitness (colour blindness will be disqualification). Only ONLINE mode of applications will be accepted from 22nd January 2019 to 20th February 2019. Candidates those who are already registered can direct click on the “Apply Online” link or else may newly register first.